Google’s best-case scenario, which was based on the most optimistic forecast for renewable energy, would still result in severe climate change, because of continued use of fossil fuels and existing critical concentration of CO2 in the atmosphere, which will continue to warm the planet even if we shut down every fossil-fueled power plant. ‘’A 2008 paper by James Hansen, former director of NASA’s Goddard Institute for Space Studies and one of the world’s foremost experts on climate change, showed the true gravity of the situation. In it, Hansen set out to determine what level of atmospheric CO2 society should aim for “if humanity wishes to preserve a planet similar to that on which civilization developed and to which life on Earth is adapted.” His climate models showed that exceeding 350 parts per million CO2 in the atmosphere would likely have catastrophic effects. We’ve already blown past that limit. Right now, environmental monitoring shows concentrations around 400 ppm. That’s particularly problematic because CO2 remains in the atmosphere for more than a century; even if we shut down every fossil-fueled power plant today, existing CO2 will continue to warm the planet. Even if the world totally switches to renewable energy, it won’t be sufficient to solve the problem. Regarding the first point, the renewable energy technologies are changing fast. Great effort is being done worldwide in order to develop more efficient clean energy sources and optimize energy consumption. So, even if Google closed its program, new more efficient technologies could be developed by GE, Siemens and hundreds of other smaller energy companies. At the same time, compared to the global attention to renewable energy innovations, the technologies of CO2 removal still remain unfamiliar to the general public. However, removal of carbon dioxide from the atmosphere is equally important as the deployment of renewable energy. Google’s article shows that it is vital to remove a critical part of historical CO2 emissions from the atmosphere in order to prevent climate change. In this context I would like to make a short overview of five startups that are working on new innovative technologies of the direct CO2 removal from the air. Carbon Engineering is a Canadian company developing a technology, which enables to capture carbon dioxide directly from the atmosphere and use it in different industrial applications, including enhanced oil recovery and production of ultra-low carbon fuels. Carbon Engineering’s capture technology brings atmospheric air containing CO2 into contact with a chemical solution that naturally absorbs CO2, in a device called a contactor. This solution, now containing the captured CO2, is sent to a regeneration cycle that simultaneously extracts the CO2 while regenerating the original chemical solution, for re-use in the contactor. These two processes work together to enable continuous capture of CO2 from atmospheric air, with energy (and small amounts of make-up chemicals) as an input, and pure CO2 as an output. The extracted CO2 is combined with all the CO2 from the systems energy use and both are delivered as a high-pressure pipeline-quality product. Climeworks is a Switzerland-based company that was spun out of ETH Zurich in 2009. The company provides an ecologically and economically attractive method of CO2 extraction from ambient air. The Climeworks CO2 capture technology is based on a cyclic adsorption / desorption process on a novel filter material (“sorbent”). During adsorption, atmospheric CO2 is chemically bound to the sorbent’s surface. Once the sorbent is saturated, the CO2 is driven off the sorbent by heating it to 95 °C, thereby delivering high-purity gaseous CO2. The CO2-free sorbent can be re-used for many adsorption /desorption cycles. The beauty of the process is the fact that around 90% of the energy demand can be supplied by low-temperature heat; the remaining energy is required in the form of electricity for pumping and control purposes. COAWAY is an American company that has developed a system able to capture large quantities of CO2 from the air as well as from point sources (e.g., thermal power plants). COAWAY use a unique process for removing CO2 from the air and propose using existing power plant cooling towers that already move large quantities of air to create the necessary throughput for the carbon capture process. By surrounding the inlet of cooling towers with the CO2 absorption apparatus, large amounts of air can be processed quickly, driving down costs. COAWAY’s technology captures the CO2 in a chemical reaction with an aqueous solution. The resulting material is ‘regenerated’ in a thermal process that also releases the captured CO2 as a concentrated stream ready for commercial use or sequestration. Kilimanjaro Energy is another American startup working on a technology that enables to efficiently remove CO2 from the atmosphere. The company was co-founded by Dr. Klaus S. Lackner, a Columbia University professor and a pioneer in direct carbon capture. 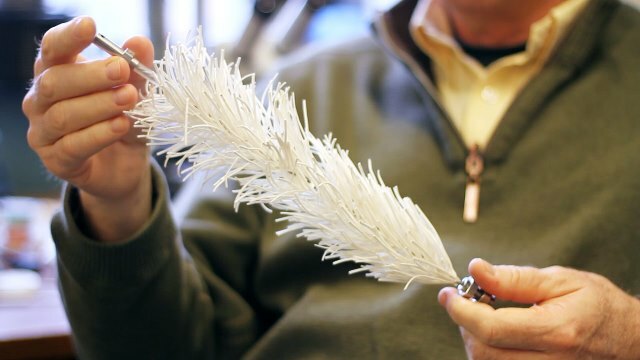 Dr. Lackner has designed a mechanism named an ‘’artificial tree’’ that passively soaks up carbon dioxide from the air using “leaves” that are 1000 times more efficient than true leaves that use photosynthesis. The leaves look like sheets of papery plastic and are coated in a resin that contains sodium carbonate, which pulls carbon dioxide out of the air and stores it as bicarbonate (baking soda) on the leaf. To remove the carbon dioxide, the leaves are simply rinsed with water in a vacuum chamber. Professor Lackner estimates that ten million “artificial trees” could remove 3.6 billion tonnes of carbon dioxide each year which would drop atmospheric concentrations of carbon dioxide by about 0.5 parts per million per year. Over the decades, that would significantly help reduce the plight our planet is facing. Global Thermostat (GT) was formed in 2010 to develop and commercialize a unique technology for the direct capture of carbon dioxide from the atmosphere and other sources. The GT process “co-generates” carbon capture with other industrial processes—such as power production—by using the process heat from those processes to drive its carbon capture technology. The air and/or the flue gas mixture are moved by fans over a wall of Corning’s honeycomb monoliths, which are coated with a proprietary ‘sorbent’ (amine based chemical). The coated monoliths adsorb the CO2. Process steam is then used to desorb the CO2 from the wall. High purity CO2 is recovered and the process heat that the plant does not use drives the GT process, making it more cost effective. By combining CO2 capture from air along with capture from the flue gas of an electrical power plant, and using the power plant’s low cost process heat to provide the energy needed for the air capture process, GT technology has the capability of transforming power plants into net carbon sinks. Global Thermostat technology also can work with renewable power plants, because it captures carbon directly from air using the plant’s process heat. For example, heat from a concentrated solar plant can be used by Global Thermostat to drive its capture process. Technologies that capture CO2 directly from the air could be a possible solution to stabilize atmospheric concentration of greenhouse gases. However, they could only make difference if they are economically viable. There is a lot of speculation on how much it will actually cost to remove CO2 from the air on industrial scale and, currently there is no reliable field information from the technologies developers. The cost estimates vary from $20 to $1000 per tonne of removed carbon dioxide. According to Klaus S. Lackner, the founder of Kilimanjaro Energy, the artificial trees would remove CO2 from the air for around $200 per tonne, dropping to $30 a tonne as the project is scaled up. Graciela Chichilnisky, the CEO of Global Startups estimates that her company could eventually produce CO2 for $20 per tonne. However, these estimations seem to be too optimistic and cost of CO2 production from the air could be much higher. For example, the American Physical Society’s most optimistic calculations for direct air capture are $600 per tonne of carbon dioxide removed. In a free market the removal of CO2 from the air starts to make economic sense from the production price of around $100 per tonne. It is the price that would pay oil companies for liquefied CO2, which they inject into reservoirs to squeeze out oil – a proven technology called enhanced oil recovery. 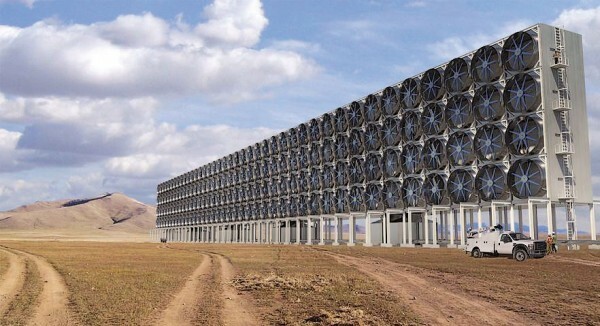 If costs come down, air capture technologies could serve CO2 markets beyond the oil industry. For instance, CO2 is used to produce plastic, grow fruits and vegetables in greenhouses or feed algae to make biofuel. In order to cut the cost, companies could build their CO2 removal plants in places with cheap labor, land and construction costs, and ideally strong demand for CO2. Because greenhouse gases are dispersed around the globe, air capture can be done anywhere. CO2 sweeping from a coal plant in the U.S. can be captured by machines in Brazil or India. Another trigger that could enable large-scale deployment of the air capture technologies is regulation. Since direct CO2 removal from the atmosphere can make an important contribution to climate change mitigation, governments could develop national and international policy frameworks for their adoption. From the international policy perspective, a negative emissions approach could be used to establish a rational ceiling price on CO2 emissions globally. In this regard, if all CO2 emitters were subject to a mandatory international requirement to apply an alternative abatement method or pay for the negative emissions necessary to balance their CO2 emissions account the cost of air capture with onward sequestration would represent the ultimate limit on the price to the polluter for putting the CO2 in the atmosphere. Leave a Reply to LastCecile Click here to cancel reply.